A new wing and dedicated cancer centre are now open at St John of God Murdoch Hospital to provide outstanding care for patients and an excellent working environment for specialists and staff. The new South Wing has 120 beds for orthopaedic and neurosurgery patients. The Cancer Centre, located on the Wing’s lowest level, offers care for cancer patients with oncologists on site. Co-director of Oncology West, Dr Daphne Tsoi, says the new centre has been carefully planned and beautifully designed, and is a much more convenient option for oncology patients. “Patients can now be reviewed by their oncologists, receive treatment and get their medications all in the same place, which is a lot easier for many patients who are less mobile,” says Dr Tsoi. 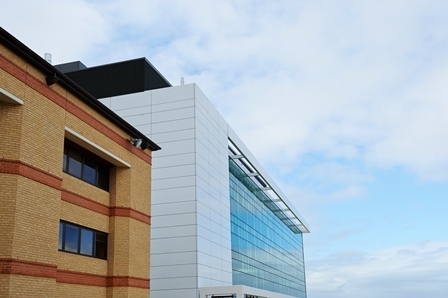 The Cancer Centre is open and the new South Wing has three floors currently open, with one other opening in the future. The wards are fitted with state-of-the-art technologies and provide patients with optimal comfort. 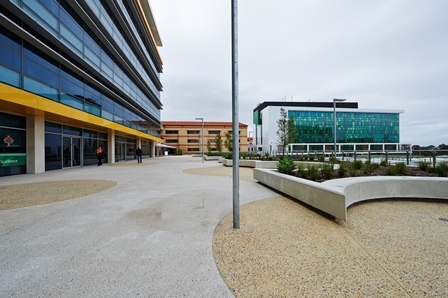 St John of God Murdoch Hospital CEO John Fogarty says the new addition marks an important occasion in the hospital’s history and will have a hugely positive impact on the services it provides. “After 18 months of construction, we are very excited to see this part of our redevelopment completed,” says Mr Fogarty.